Celebrate the arrival of a new baby with a beautiful honeycomb heart throw. 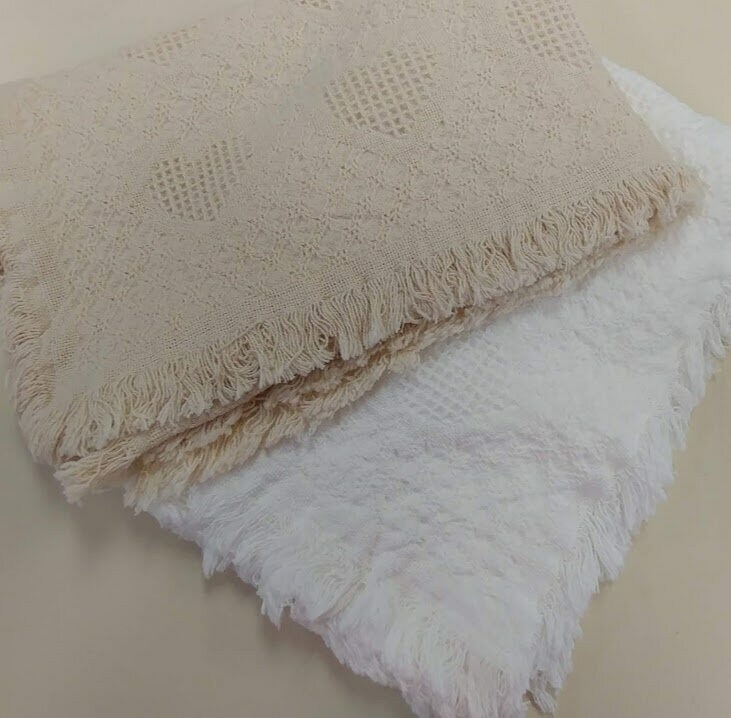 The throw is available in white or natural. It is 100% cotton, double layered, and measures 36” X 48”. It is a wonderful way to decorate the nursery and display your little one's name and birth information. 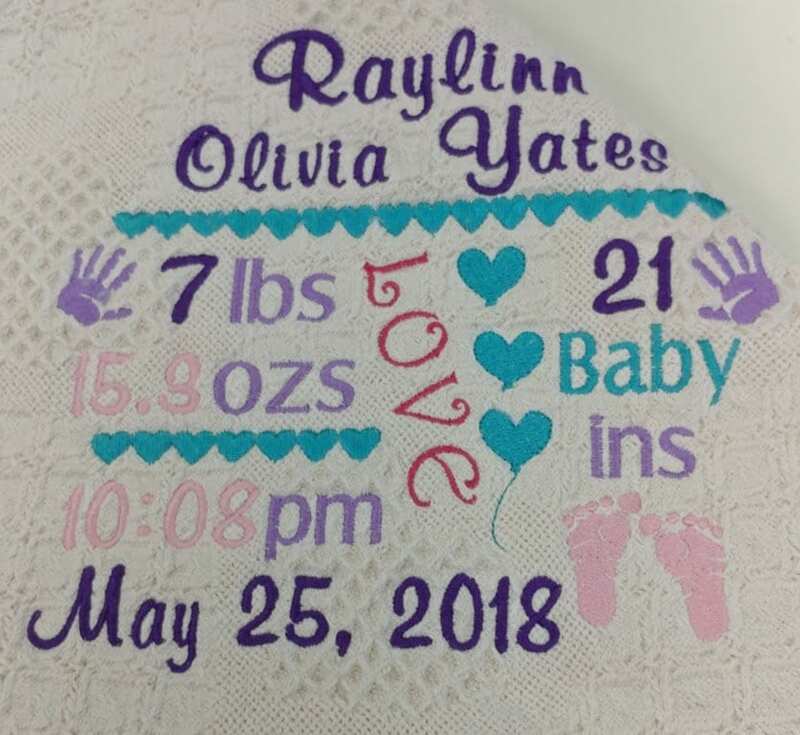 This font used in this design is casual font and is sewn with purple, aqua, light purple, ruby and pueblo pink thread. 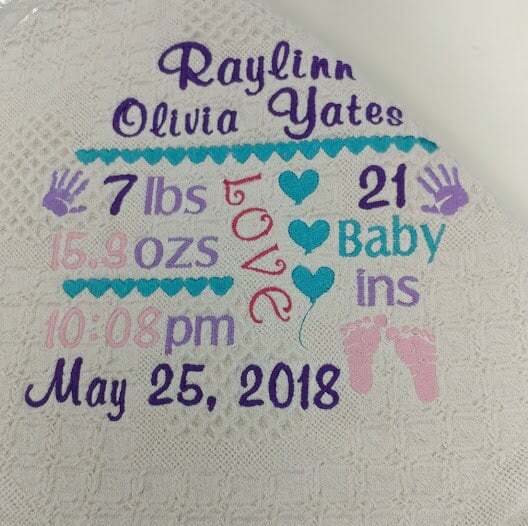 It displays the baby's name, weight, length, time of birth and birthday. I can customize it with whatever color scheme you would like, just send your requests when you order. 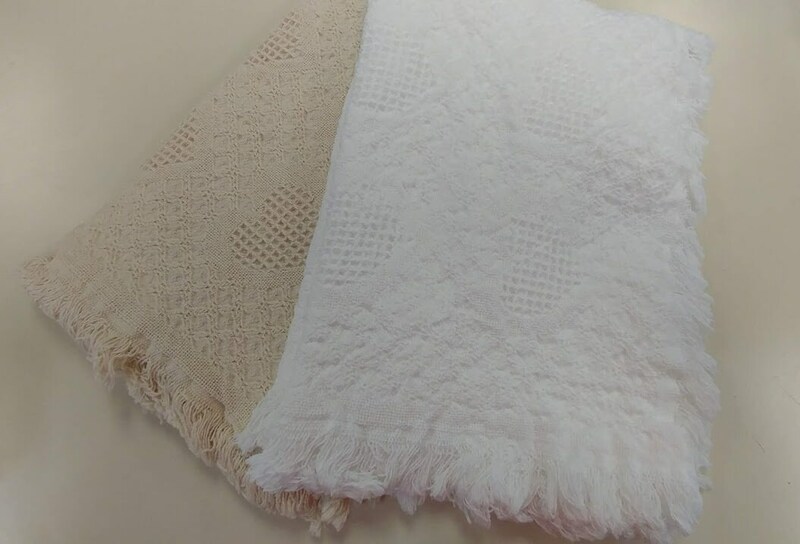 The throw is available in natural or white.